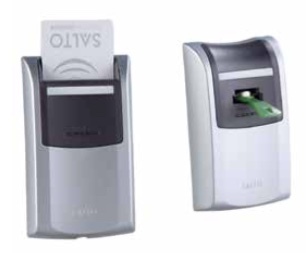 SALTO solutions are in use around the world in many types of office buildings, where they provide security, access control and staff and workforce management. 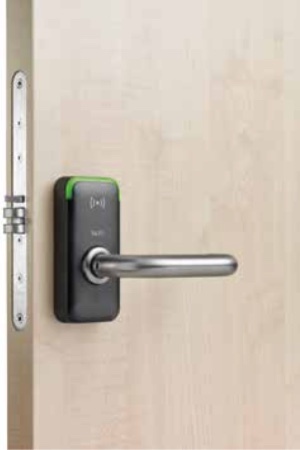 SALTO solutions makes access control a simple and secure solution for retail to manage keys, users and doors across multiple locations to ensure that only the right people get through. 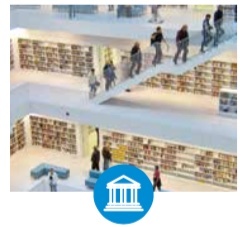 SALTO solutions are in use around the world in educational environments providing 24/7 security, access control and campus management. 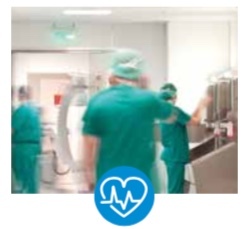 SALTO solutions are in use around the world in healthcare environments where they provide security, access control and resident and staff management. 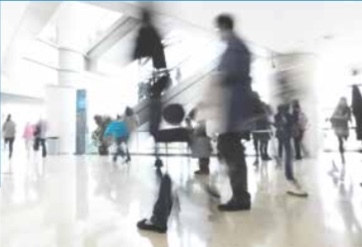 SALTO solutions are in use in all types of public administration buildings, where they provide security, access control and personnel management. 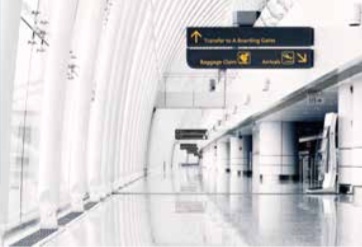 SALTO solutions are in use around the world in airports, train, metro and bus stations, ports and ships, warehousing and more where they provide security, access control and passenger and employee management. 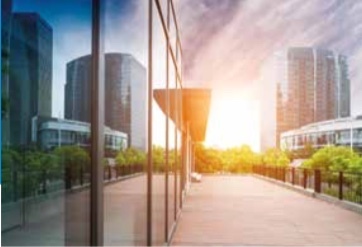 SALTO Hospitality solutions take care of property security, as well as stream-lining and maximizing staff management activities and improving guest experience. 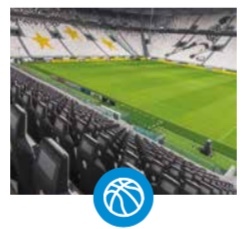 SALTO solutions are in use in a wide variety of leisure and entertainment facilities where they provide security, access control and visitor and staff management. 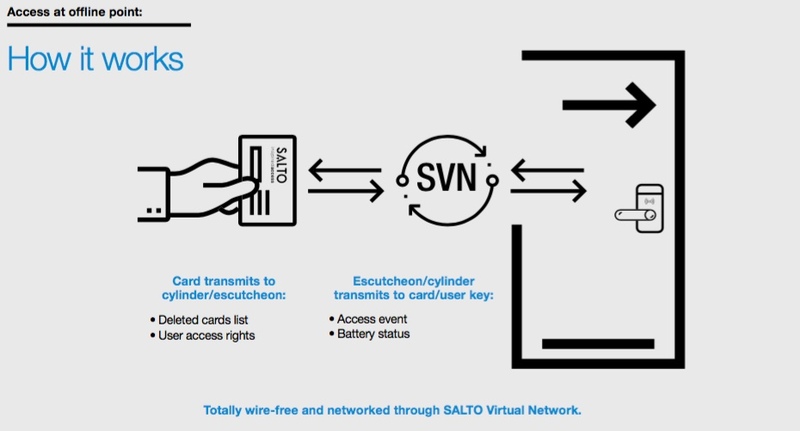 Inventors of SALTO Virtual Network (SVN) with patented and fast read and write data- on-card technology, expertise in applying virtual networks in the most secure way. 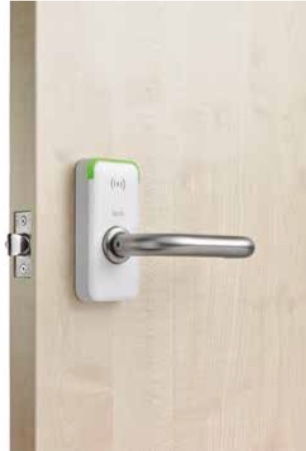 Compatible with most common RFID technologies. 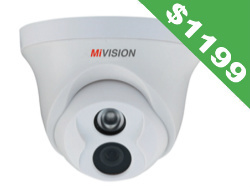 Compatible with leading physical security information management systems (PSIM). 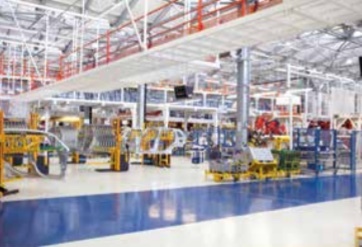 Reliable products due to extensive in-house R&D, in-house production and in-house quality management. 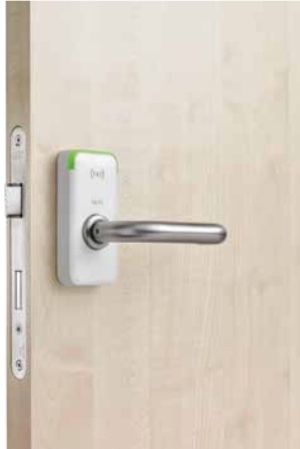 Complete hardware and software platform, which fits virtually any door and any access point and suits all vertical markets. 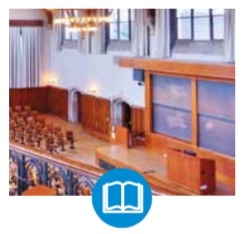 Open architecture and standardized interfaces allow seamless integration. Longest in-depth knowledge of virtual network technology. Integration of legacy credentials, and compatibility with other systems through multi-application. Mechanical key management is costly, unsecure and a hassle. 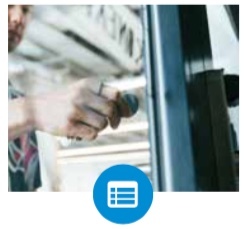 Upfront costs of replacing master keys, drilling out locks, updating all affected users’ keys, plus indirect costs like maintenance team productivity can be substantial. 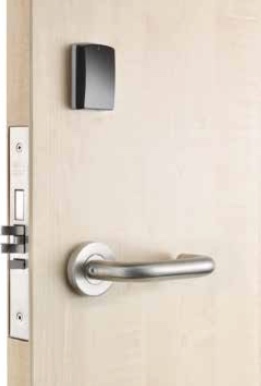 Cost-saving maintenance of door components. 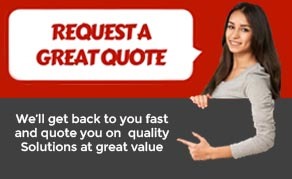 Maximized ROI through buy-once philosophy. 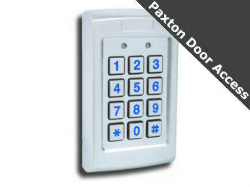 Upfrontinvestmentissubstantially less than with traditional wired access control solutions. 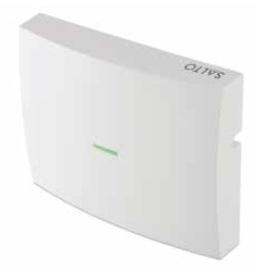 Effective and time-saving management of all online, ofline and wireless access points and applications in one software package. 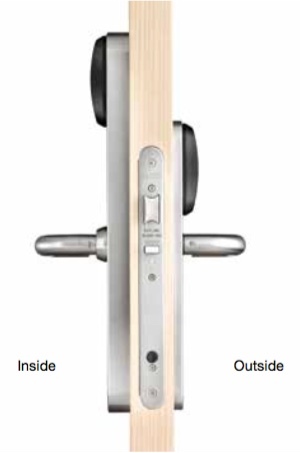 Different applications apart from doors can be included. 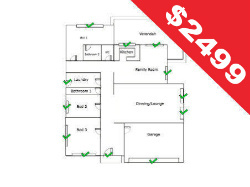 Software structured around users and doors, easy navigation, user-friendly management. Multi-application allows one credential to be used for different applications. Update the access plan quickly, easily and securely. 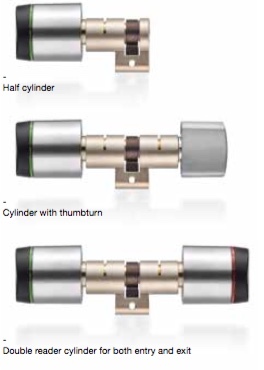 Completely compatible with the SALTO XS4 escutcheon range. Computer managed allowing for the configuration of the electronic escutcheons, monitoring of access flows, recording access, adding and removing users and setting up the user access profile. 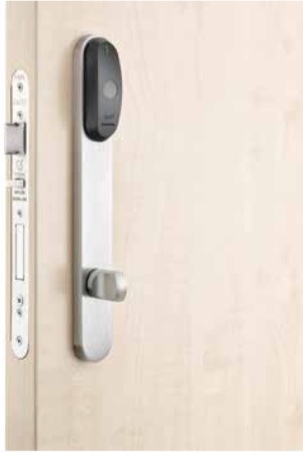 The system can manage up to 16,000 users and 65,000 doors. 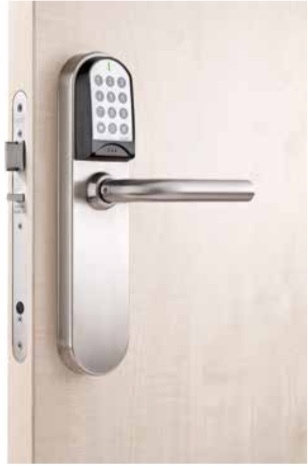 7 different opening modes to suit your needs (standard, free passage ability, free passage with automatic locking, automatic opening, toggle and timed toggle). 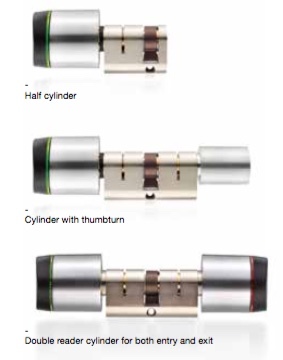 30 time zones, 4 calendars and 680 door events held in the electronic escutcheon/electronic cylinder memory. The system can be upgraded simply by using a Portable Programming Device (PPD), making it possible to upgrade to a data-on-card SVN system when your needs change. 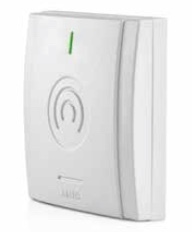 Multi-application through the contactless carrier enables use of existing contactless RFID smart cards. 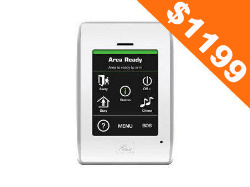 Cost-effective, quick and easy installation as only update points requires hard-wiring. 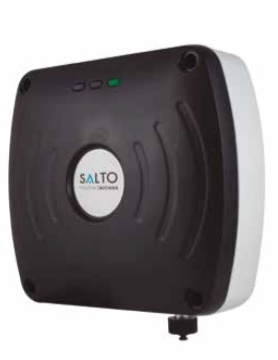 Control and management of all access online and offline points remotely from one or more workstations through SALTO ProAccess SPACE. 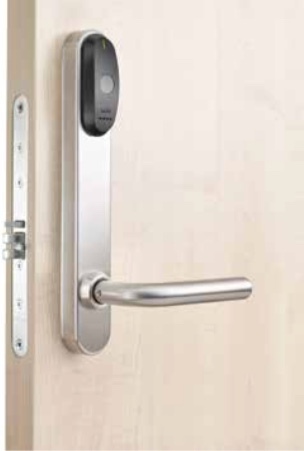 secure investment as SALTO SVN can be extended up to 65,000 doors, even on different sites in different countries, if required. 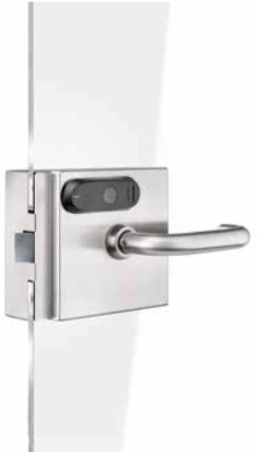 - In case of a power failure, the access control system keeps functioning because of its battery-operated escutcheons and cylinders. - Emergency openings can be performed through the PPD. - Multiple workstations through SALTO ProAccess SPACE. 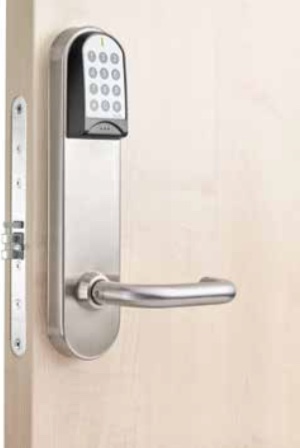 More than 10 different opening modes to suit your needs (standard, free passage ability, free passage with automatic locking, automatic opening, toggle, timed toggle...). 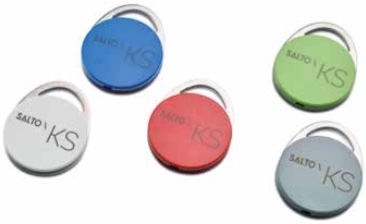 Available for all mainstream RFID technologies; also multi- applications. 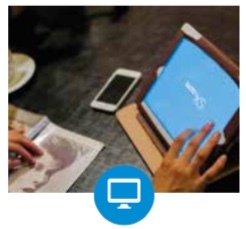 One single carrier can be the access credential and can also be used in time and attendance or cashless payment systems. the building. The “updating points” upload and download user related information that is then used to permit, control or deny access. 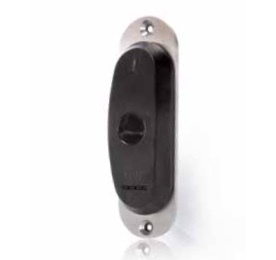 Completely compatible with the SALTO XS4 escutcheon range. 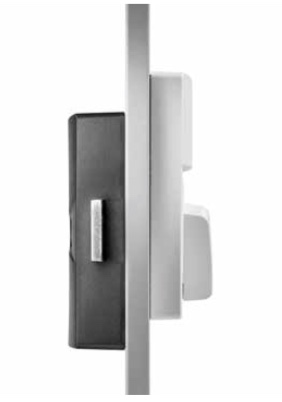 Cost-effective, quick and easy installation as completely wireless. 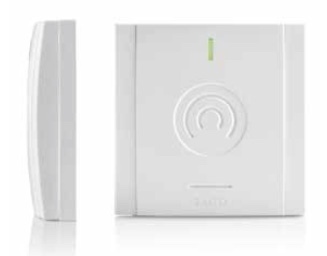 Control and management of all access points remotely and in real- time from one or more administrator workstations through SALTO ProAccess SPACE. 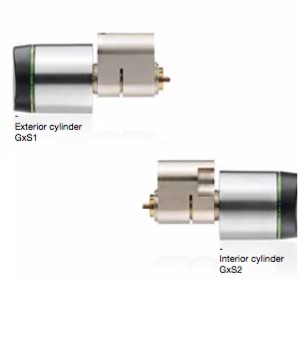 If radio frequency is interrupted or breaks down, the access system will continue to work, as the virtual network of the battery-operated escutcheons and cylinders remains operative through SALTO SVN. 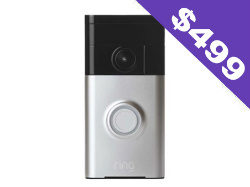 Highly secured, meets RF IEEE 802.15.4 at 2,4Ghz Standard and is AES 128 bit encrypted. 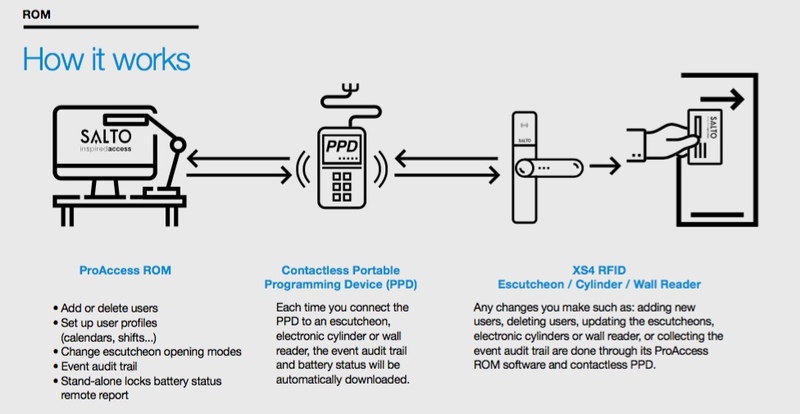 XS4 wireless escutcheons and cylinders receive blacklist information and remove cancelled keys from the system in real-time. 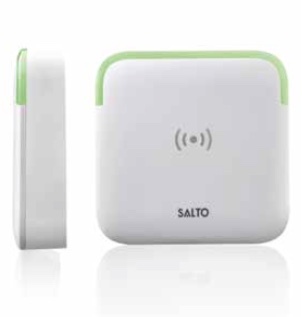 SALTO Wireless has been developed to meet the highest demands related to security and ease. 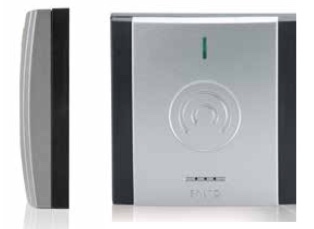 This access control system is networked through radio frequency and especially designed for doors where real-time control is required. 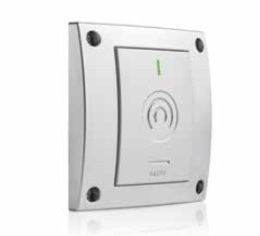 SALTO Wireless can be installed as an independent system or can complement SALTO Virtual Network (SVN) in areas of a building where real-time control is required. 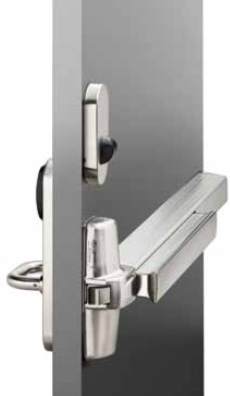 Completely compatible with the SALTO XS4 escutcheon range. Computer managed through SALTO ProAccess SPACE. End-user decides how to receive a key: as a JustIN Mobile or as a physical credential. 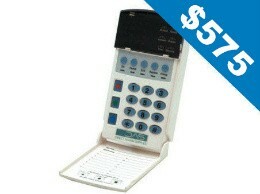 Allows extending access or changing access rights instantly and remotely. Works with a user’s existing iOS and Android smartphone devices. - JustIN Mobile app lets an end user receive their key online, anytime and anywhere. Instant key updates or key cancellations. Cloud. SALTO JustIN Cloud is used only as a bridge between SALTO ProAccess SPACE software and the JustIN Mobile app. and productivity without sacrificing security,whilefacilitymanagersdistinguishtheirpropertywithcost effective solutions that clients truly value. 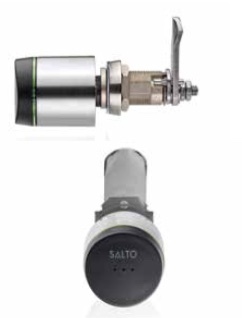 to customise to your exact needs, even in existing projects that are already running the SALTO system. Computer managed through SALTO ProAccess SPACE. 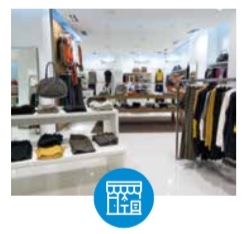 The application is designed for mobile phones with integrated NFC. 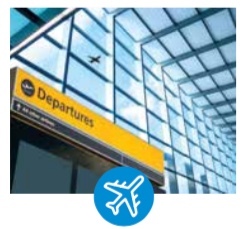 - An innovative, easy to use app to manage access rights and to update user credentials, even when in transit. 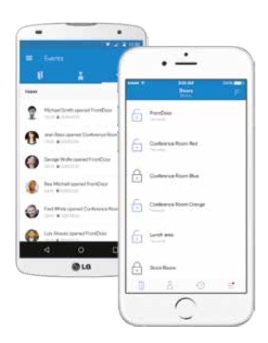 Credentials automatically updated in cycles and remotely in real-time simply by a user presenting their credential to their smartphone. Blacklist & Tag. 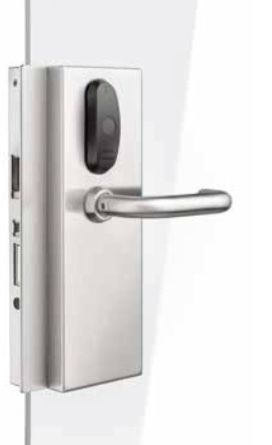 IT dissemination that increases security without the need to wire or visit doors. Dynamic access plan: Revalidation = New key every day. 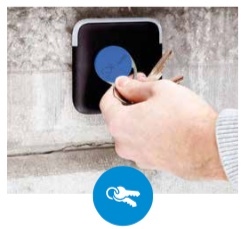 Smart key compatibility: DESFire EV1 (AES – 3DES encryption). No information is stored in the cloud, and the cloud serves only as a transit point. The secure element is the DESFire EV1 credential. 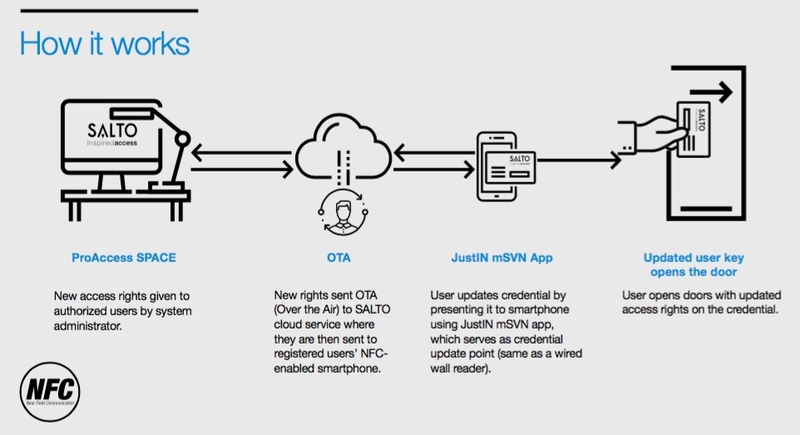 SALTO’sJustINmSVN (mobile SALTO Virtual Network) is an innovative technology developed by SALTO to update a user’s access rights Over the Air (OTA) by using SALTO’smSVNapp for NFC-enabled phones. By allowing users to update their credentials remotely, SALTO’sJustINmSVN increases flexibility and usability without compromising security. 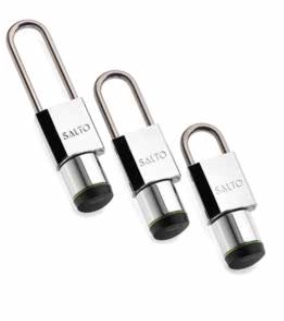 SALTO KS | SALTO KS | Keys as a Service | SALTO cloud-based locking solution. a flexible management system that requires no software installation nor the cost of a fully-wired electronic product - all you need is an online device with an Internet connection. 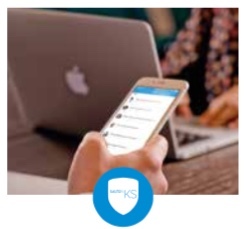 No software installation, scaling on any device, secured login, intuitive design, anything you may expect from today’s cloud is in SALTO KS solution. SALTO customer does not need to worry about the doors running out of capacity, SALTO KS is effectively in nite in size. 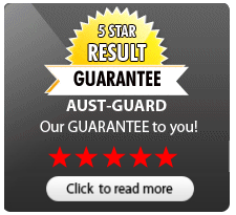 The solution also incorporates state of the art security measures in all components and more important, to keep updating that permanently. Not always visible but always there. Manage locks, people, messages and access rights with no hassle. 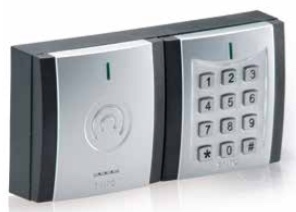 That's how a business access control should work. That's how SALTO KS works. 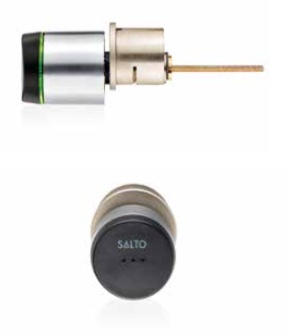 Completely compatible with the SALTO XS4 wireless escutcheon range. 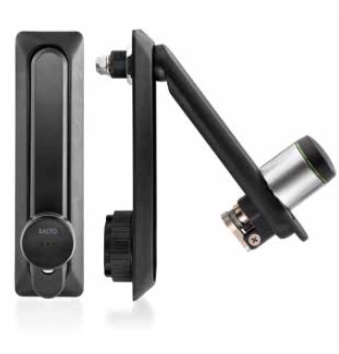 Cost-effective, quick and easy installation as completely wireless. Powerful diagnosis tool thanks to over 25 different event codes within the audit trail. Based on audit trail: when lock is offline, lock will grant access to the user according to their last user event within the lock. For high transit doors. 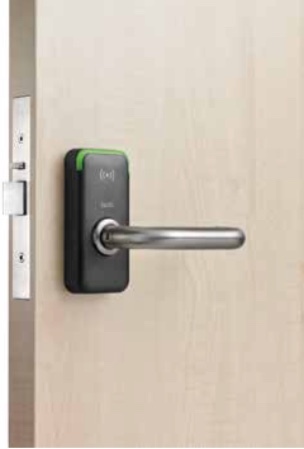 Based on whitelist system: up to 20 master keys subject to time zones can be stored in the lock memory. With proper setup, no door will be left without control. 600 audit trail events are stored on the lock, regardless of the state of the communication with the host. Wireless communication AES 128 bit encryption. 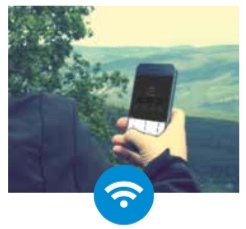 Wireless communication at 2.4ghz based on IEEE 802.15.4. - Online audit trail. 20 emergency codes subject to time zones. In many security installations, there is a need for combining systems by different vendors. 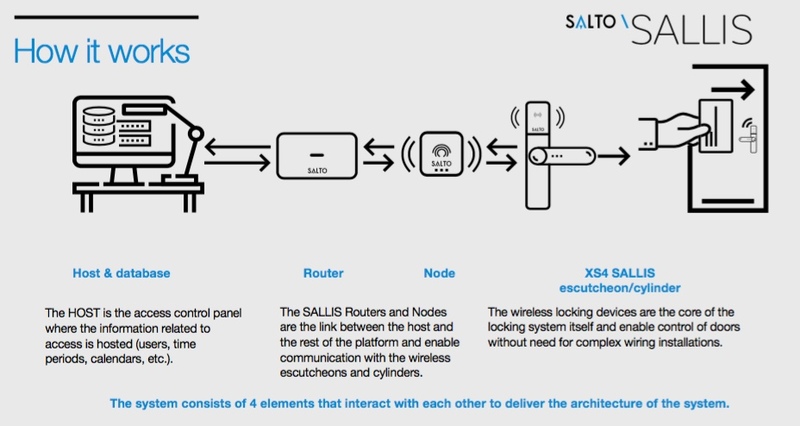 SALTO offers several ways to integrate with third-party products. 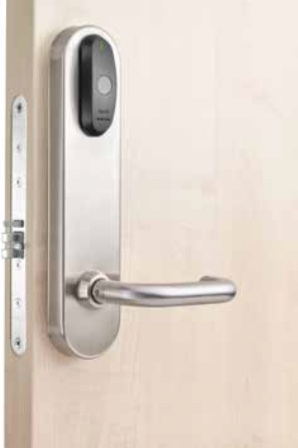 This includes interfaces for connecting SALTO to third-party wired access control systems as well as integration with video surveillance, parking management, number plate recognition, biometrics, time & attendance, escape door control systems, Physical Security Information Management Systems (PSIMs), even training systems for safety instructions and much more. Saltoks.com allows you to individually define who can enter which doors during which time periods. 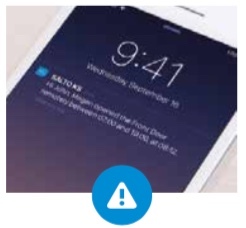 Receive notifications regarding door and user activity. 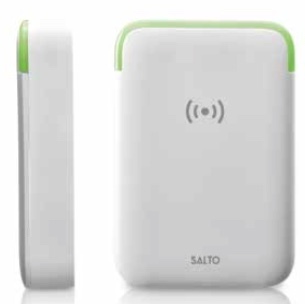 Manage SALTO KS from any device – phone, tablet, pc - all you need is an online device with an Internet connection. Tags replace that ring of keys, simply assign a tag, and define when and where that tag can go. One of the really functional features of SALTO KS is the remote opening. Provide access without being physically there. 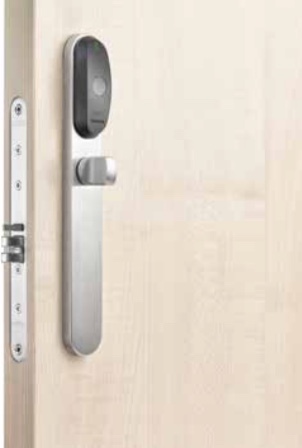 Smart, secure, innovative and easy to install, the XS4 electronic escutcheon sets need no hard wiring and provide a totally wire-free networked electronic locking solution with a great range of features. 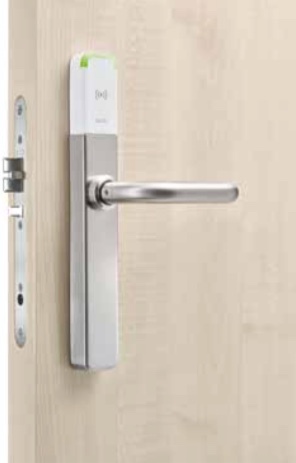 The XS4 escutcheon range is specially designed to t on most standard doors, and work with the majority of Scandinavian, European and ANSI mortise locks and tubular latches. Stylish design is a SALTO trademark and with the XS4 Mini, we raise the bar on this already high standard thanks to its small, discreet size combined with a modern, clean LED aesthetic. The Mini’s smart compactness simpli es installation. 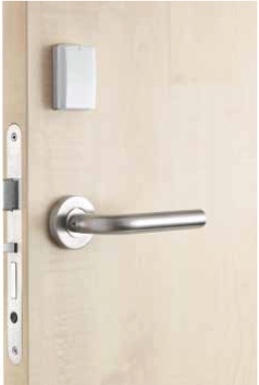 The XS4 Mini maintains the re rating of the door as no additional drilling of the door is required. 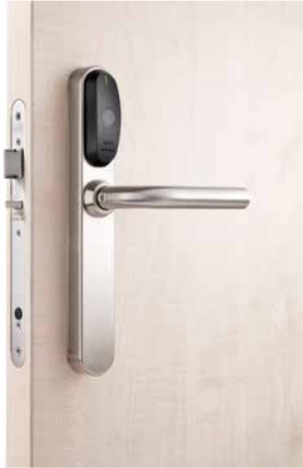 The AElement is an RFID lock that allows you to integrate all your physical security needs into one stylish, energy ef cient, reliable, wire-free system. 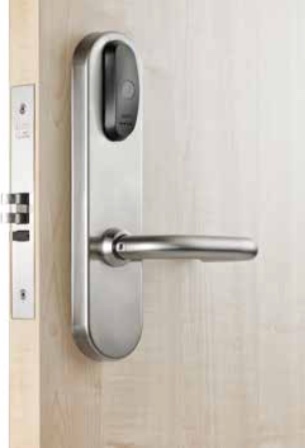 The minimalistic design of its RFID reader looks chic and discreet on any door, and can be combined with a wide range of either SALTO or designer handles. 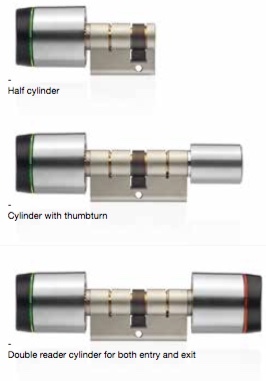 Extensive range of wire-free, stand-alone electronic cylinders designed for doors where tting an electronic escutcheon is not possible or required (e.g. antique doors). 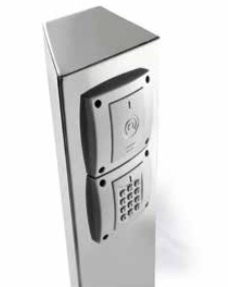 In addition to use on doors, other applications including post boxes, server racks, cupboards or boxes can be controlled via SALTO SVN access control and protected by GEO electronic camlocks and padlocks against theft or unauthorized use. 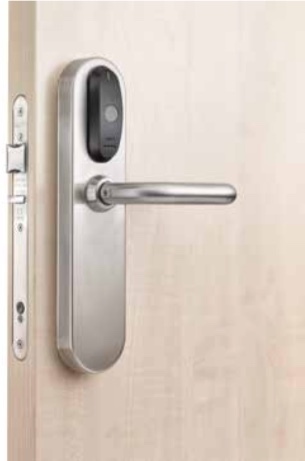 SALTO offers a wide range of wall readers that, in combination with SALTO Door Controllers enable the expansion of SALTO access control bene ts to all those doors where a stand-alone electronic lock cannot be tted, i.e. 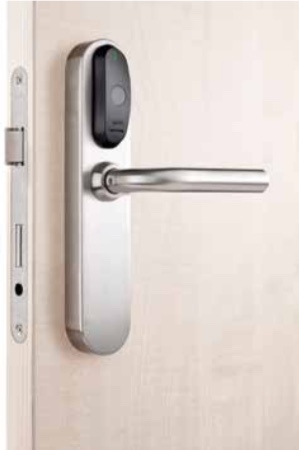 barriers, lifts, sliding doors or electronic gates, where control must be boosted by online real-time access control. 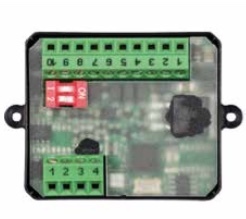 The wall readers read encrypted data contained on the carrier and communicate it to the door controller. 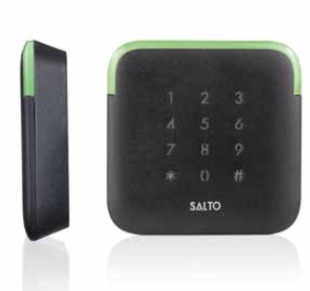 They also allow for updating of the carrier via SALTO Virtual Network (SVN) technology, making it possible to cancel lost or stolen cards remotely. The fast and reliable long range identi cation solution automatically identi es users ows in any weather conditions without having to present the card on the reader. 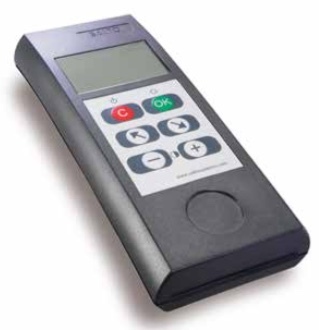 The product is suitable for car parks, traf c management, free owing vehicle access control and convenience in general as the carrier is read at a certain distance (refer to the models speci cations for more information). 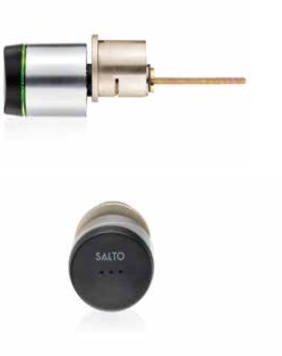 The LDR is fully integrated into the SALTO ProAccess SPACE system through the XS4 online controller. 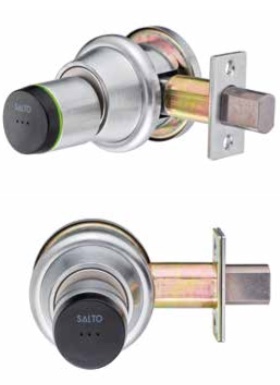 The XS4 Locker Lock provides high level security to a wide range of lockers, cupboards, cabinets, boxes, etc. 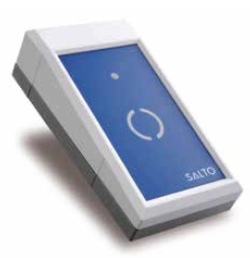 by integrating it into the SALTO wire- free electronic access solution. It features an ergonomically designed twist operated locking handle that makes for easy use, even with wet hands. 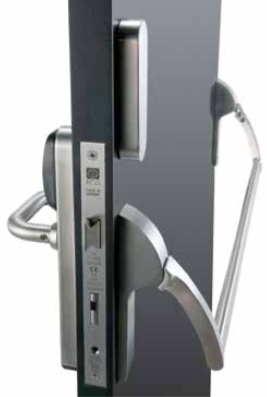 The battery pack, electronic components and locking mechanism are all located on the inside of the door, safe from potential vandalism or sabotage. 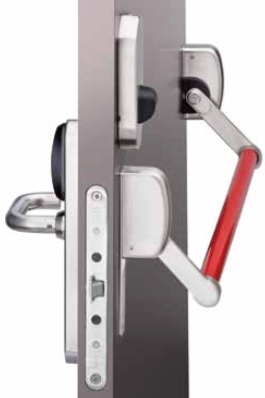 SALTO Advanced panic bar solutions enable emergency exit doors equipped with panic bars to be controlled with an innovative stand-alone electronic locking system. 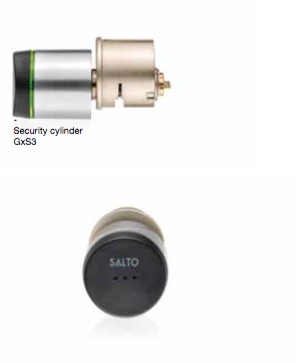 SALTO stand-alone electronic locks can be tted, in combination with adaptor kits, to more than 40 leading panic bars from the most popular manufacturers, whether you have a mortise panic device or a RIM panic device. 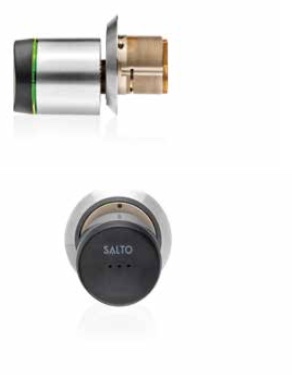 The SALTO XS4 platform is more than just a locking solution and by combining the locks with other devices, we can reach a level of convenience and performance higher than traditional stand-alone access control systems. 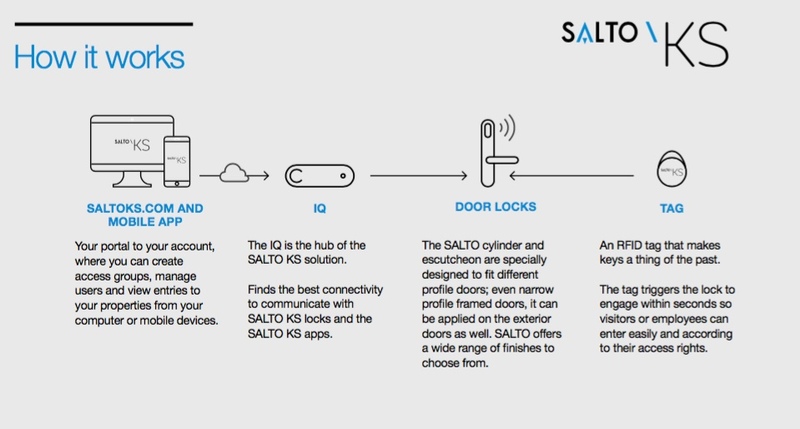 The SALTO KS platform is more than just a locking solution and combining the locks with other devices we can reach a level of convinience and performances higher than the traditional standalone access control systems. 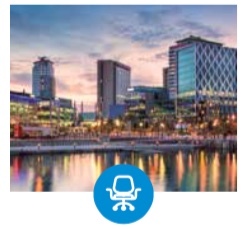 SALTO ProAccess SPACE Software is a powerful web-based access control management tool that enables users to programme access-time zones, manage different calendars and view audit trails from each door. 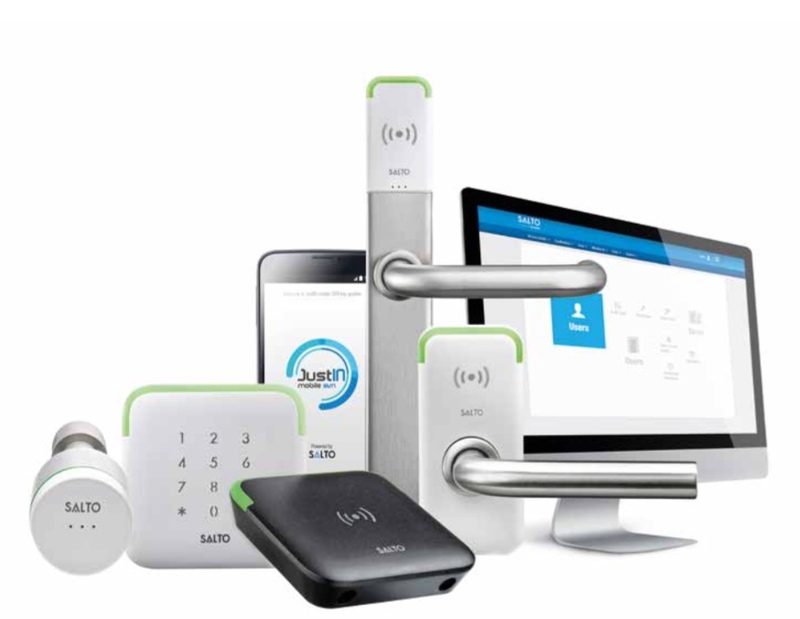 Its user-friendly interface is simple to set up and con gure, giving users the exibility and control that today’s modern access control systems require.